Have you ever had a delicious dish at a restaurant and so badly wished you could make it at home? Well, It happens with me often. 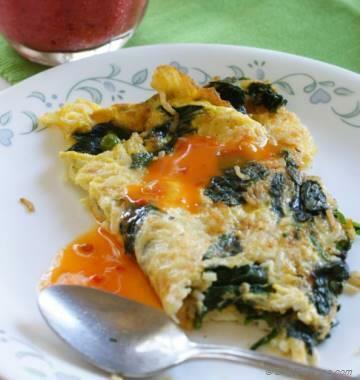 I wanna make many of my favorite restaurant foods with same finesse at home. I’m sure we all have been there. This meatless burger is the epitome of that to me. This burger was introduced to me not in a fancy, 5-start restaurant, but a local food joint. And then was eaten repeatedly, foremost for taste and also for the fact that it is meatless. 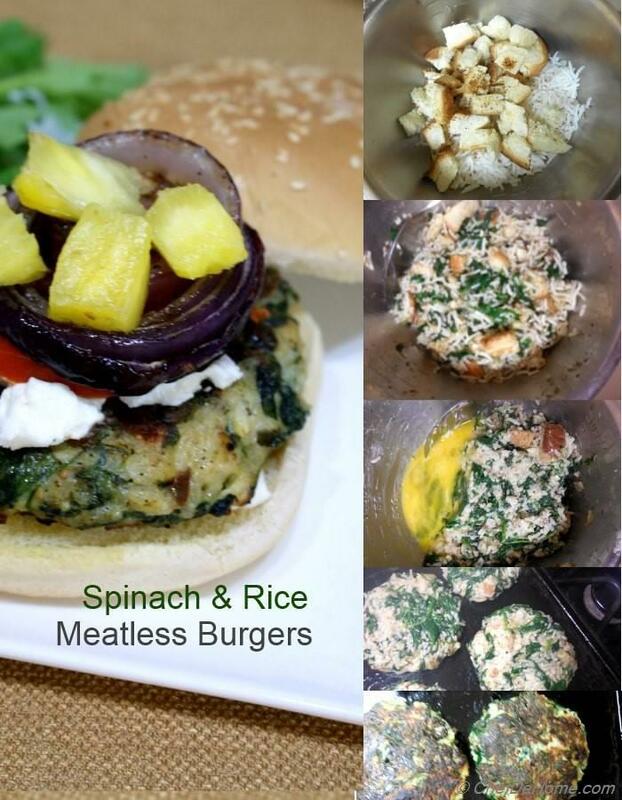 My favorite when I am on meatless diet. My hunt for recipe ingredients was short lived since waitress tactfully swallowed my questions on ingredients used. Fast forward a few years later, few failed at-home attempts, I think, I have finally figured it out! Key ingredient here are garlic, oregano and goat cheese. Mostly easily available at home. Recipe is very simple. 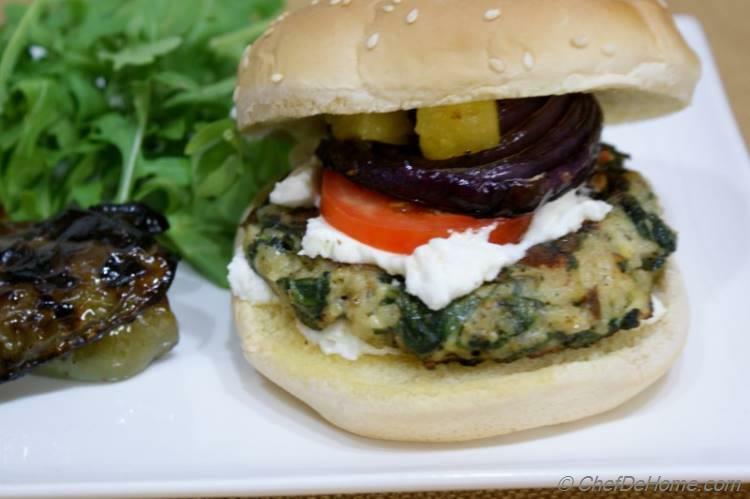 If you can keep a cup of leftover rice from today's dinner, you can enjoy these meatless burgers for dinner tomorrow under 20 minutes. I bet you have all ingredients at home, right now. Final product is very satisfying. 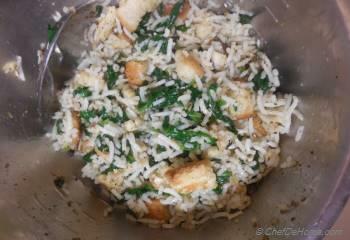 Filling rice and bread crumb patty, with healthy dose of spinach, garlic, and zing from goat cheese. 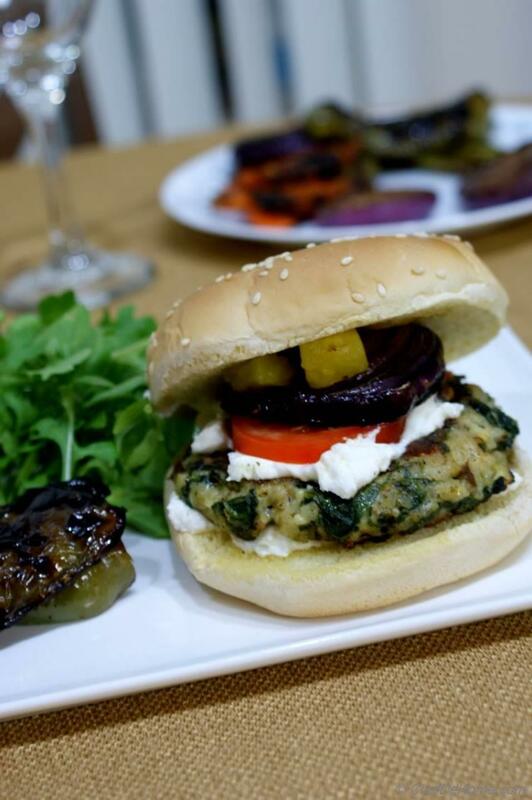 My favorite thing about this burger is aroma fusion of garlic and oregano. Oh!! mouthwatering every time. 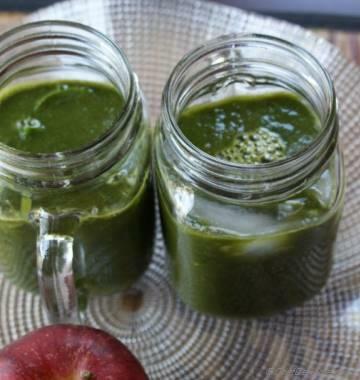 So happy to share this recipe with you all. Total Time 20 minutes Prep Time 10 minutes Cook Time 10 minutes Difficulty Easy Yields 4 patties Serves 2 Notes Makes 4 patties, good to make 4 burgers. 1. 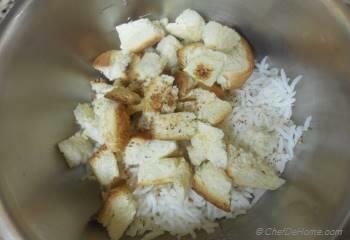 In a bowl, take 2 tbsp olive oil, oregano, black pepper, small diced garlic, cooked rice, toasted bread cubes and 1/2 tsp salt. 2. 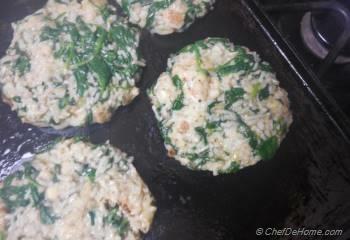 Add thawed and water squeezed spinach leaves and 1/4 cup goat cheese. 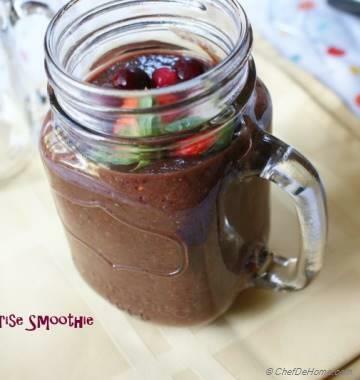 Mix to combine everything evenly. Taste the mixture at this taste and adjust salt. 3. 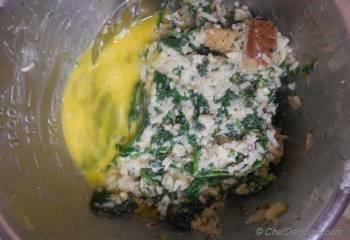 Now add slightly beaten egg and combine into the mixture. 4. Divide the mixture to make four patties about 1/2 inch thick. 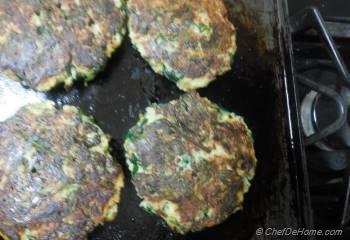 Heat a skillet, add 1 tbsp oil and place patties on hot skillet and let it cook for 6-7 minutes until crisp at the bottom. 5. Flip and cook other side until fully cooked another 5 minutes (internal temperature is 160 F). To ensure fully cooked patties, you can also finish these patties in oven preheated at 375 F for 20 minutes after quick sear on both sides. 6. 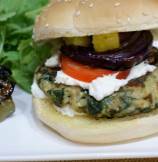 Toast the whole wheat or white wheat bread rolls, top with spinach and rice patties and toppings of your choice. 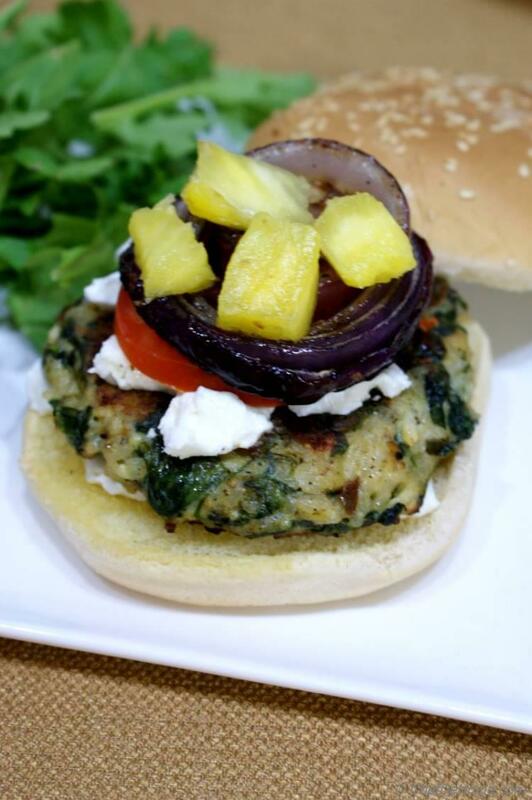 I topped burgers with pan grilled onion, fresh roma tomato slice, pineapple and goat cheese. If you don't like egg in burger, mash 1/4 cup of rice in food processor with 1-2 tbsp water + plus add 1-2 tbsp of rice flour to make these patties stick and hold better. this is looking really delicious! !